Amazing! 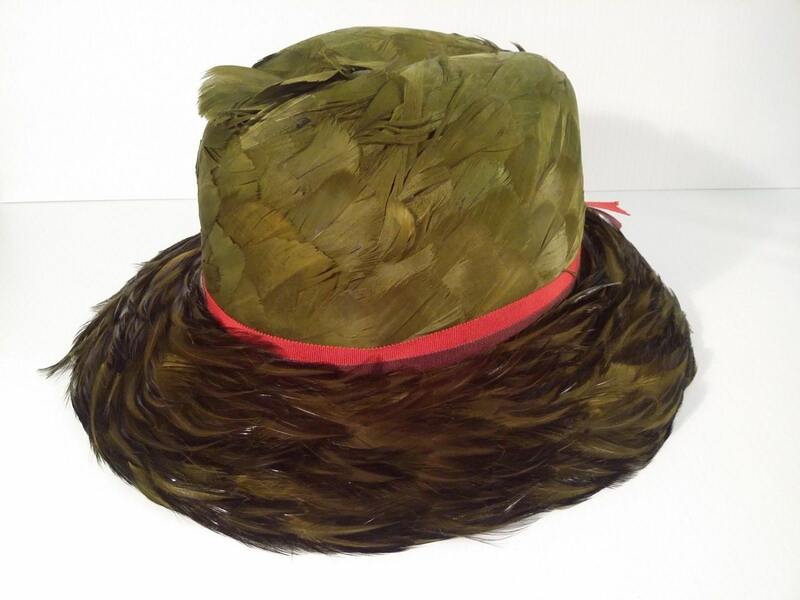 Vintage pheasant green and brown feather fedora-style hat. 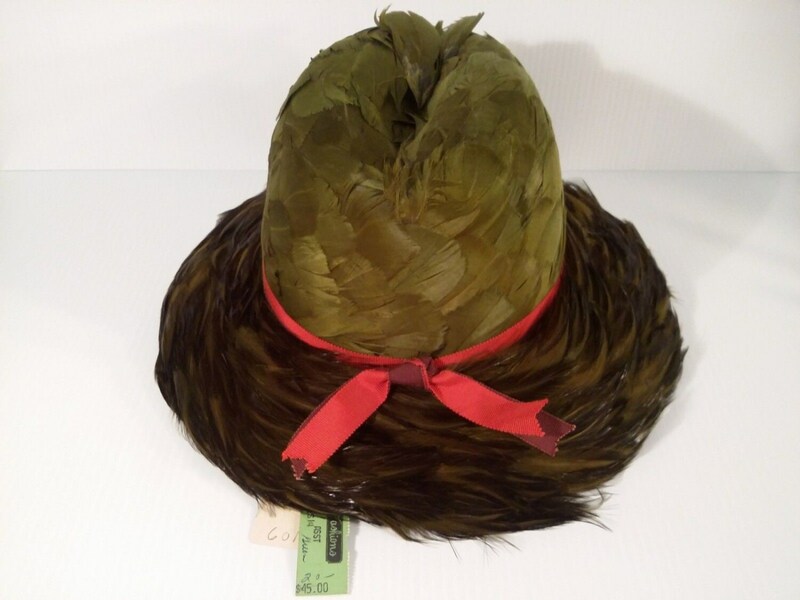 This hat appears to have never been worn. Stunning! 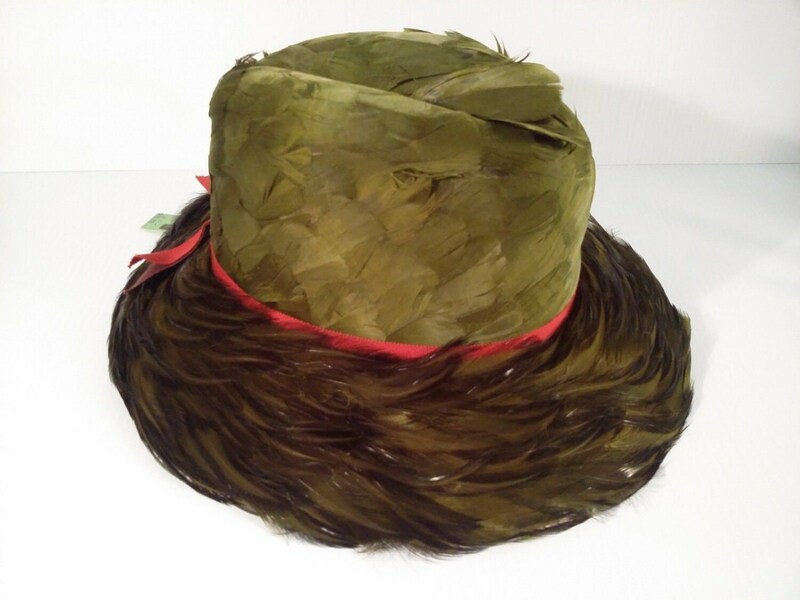 The top is a very pretty green feather, while the rim is a beautiful brown feather. Pretty pink ribbon sets it off. There is no label inside. Brown felt interior. 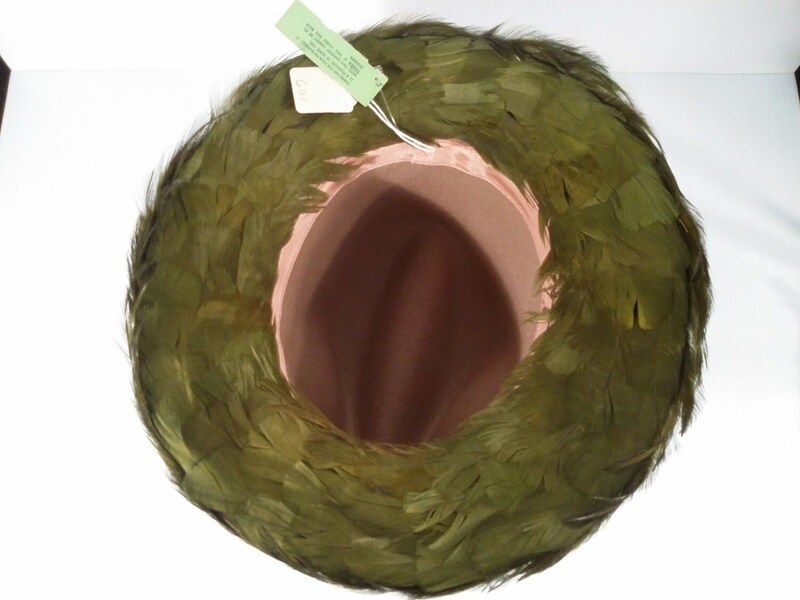 Inside circumference measures approximately 22 inches. 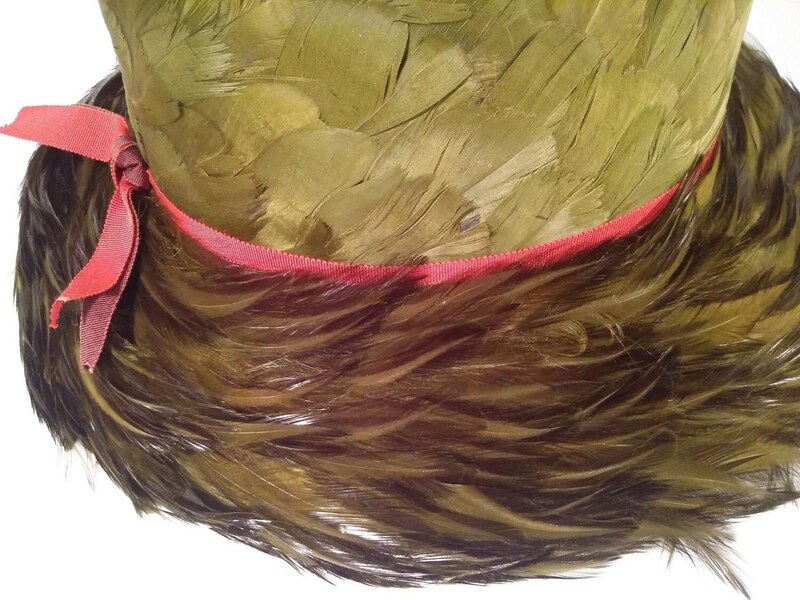 This classy feather hat is a fantastic collectible - yet wearable - find!